Originally Submitted to FurAffinity.net on Feb 22nd, 2014 07:48 AM. Before it was transferred to Inkbunny it had 39 views and 6 favorites. This is for Dee, who doesn't have an active DA or FA. 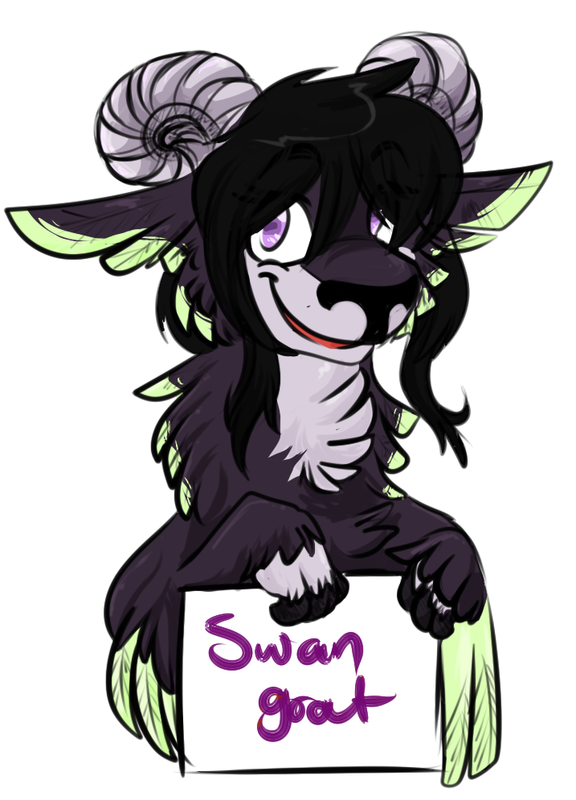 :> Her's is a goat-swan hybrid (see a pattern here yet :3c) and I'm not sure if she has a name or not hahaha. I love those feathers and that sign. What a cool hybrid !